Have us build a Seattle indoor putting green today and start lowering your score tomorrow! If you’re tired of mowing, watering and pulling weeds, then it’s time to take a look at our artificial and synthetic golf greens for your home residential area. 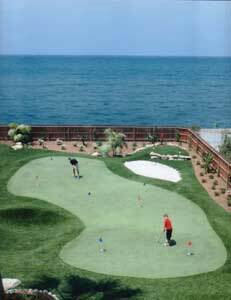 Construction of your personal home, residential or commercial synthetic practice indoor and backyard putting greens puts golf right in your backyard. 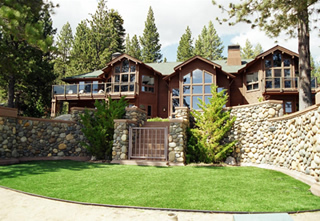 Our artificial grass never looks fake and rolls true every time! Having a low maintenance yard with your own personal backyard putting greens has never been more affordable. Building an outdoor or indoor putting green with Southwest Greens Seattle ensures that you will receive the best construction and the latest installation techniques available. 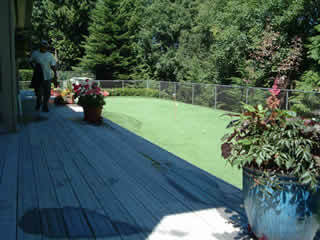 Choose SWG Seattle for your project and enjoy the privacy of an indoor putting green for years to come! Construction of our golf putting greens for your personal area is done with the best synthetic and artificial products to keep your residential or commercial area low maintenance and looking great for years to come! Don’t wait to build a putting green today! 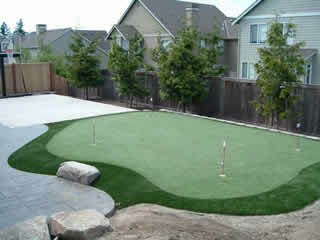 Contact SWG Seattle for more information about our backyard putting greens and indoor putting greens.